as some of you may have gathered I am a big fan of pullip dolls, there is just something about them. These dolls are highly articulated and have an "eye mech" which can close and re-position their eyes ( I will explain more on this later). The pullip head has an anime look to it, which I think was what originally drew me to the brand. Today the pullip I am reviewing is pullip midnight velvet from the Snow White series! look at that tiny lacing and even more shiny beads!!!! when i took the doll out of the packaging her whole body was wrapped in plastic to stop all the dark clothes from staining her pale skin. pullips are extremely articulated my doll is on a pullip type four body.however i want to keep my blog child friendly and un- offensive as a naked doll may offend some people. if you would like to see a pullip body and its articulation i would highly recommended checking out this comparison of pullip bodies on the pullips and junk blog. ok so here is how the eye mech works: the flat rectangle slides from side to side to change the direction the eyes face and you press the round cylinders to get the eyes to close; either one at at time or both at the same time. i absolutely love this doll. the detail is mind blowing and the articulation is very good. 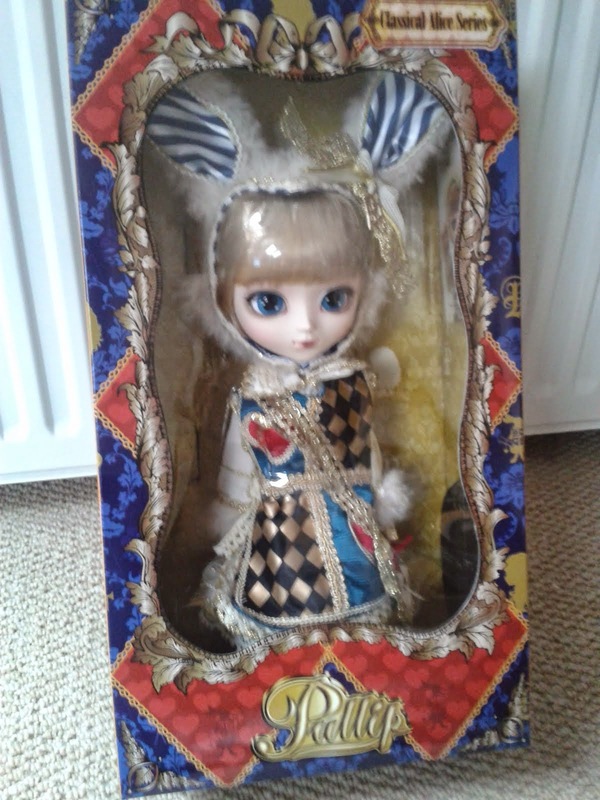 the doll is so high quality and will be a great addition to my growing pullip collection! P.S. 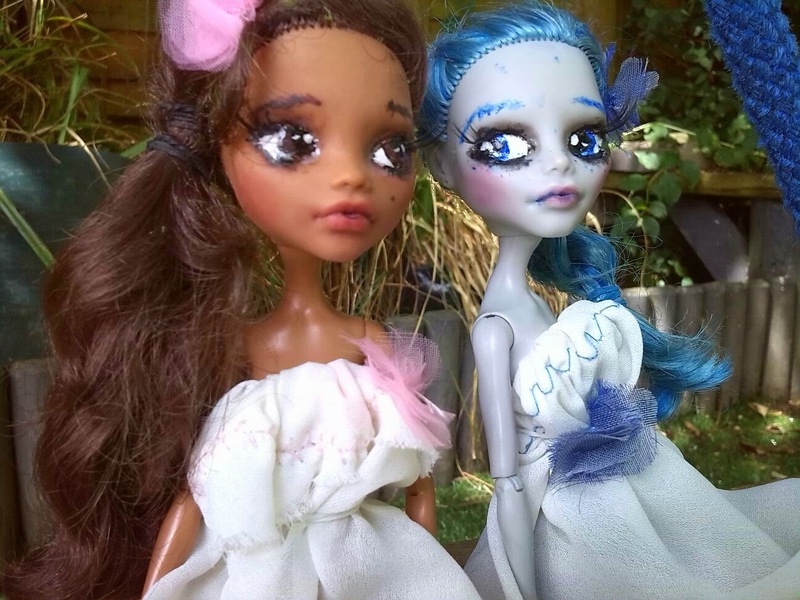 if anyone would like me to post one of my pullip photo shoots on my blog leave a comment and i will try my best ! 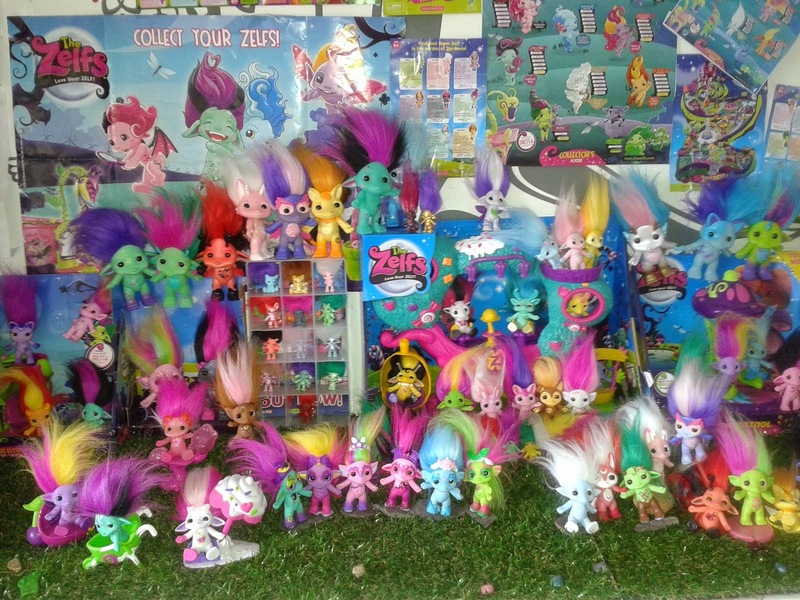 I will make a post on my pullip collection then, I will probably upload it some time next week, as I'm not feeling too well at the moment. Oh no, I hope you recover soon. Drink plenty of water and get lots of rest!